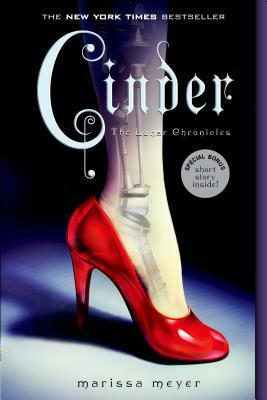 A clever reimagining of an oft-retold fairy tale: a cyborg Cinderella with too small feet? With an android fairy godmother? Cinder lives in the futuristic Eastern Commonwealth, working as a mechanic with her trusty android, Iko, by her side. When the handsome Crown Prince Kai visits her stall, Cinder gets pulled into a conspiracy involving the villainous Lunar Kingdom, the deadly plague that took her stepfather and stepsister, and a missing moon princess. Fresh and imaginative, this is one of the top debuts of 2012, and I’m eagerly awaiting the next installment. Cinder is a gripping and intense dystopian young adult novel whose main character is much more than how her fairy tale telling sets her out to be. This Cinderella retelling will submerge you into the city of New Beijing where revenge, suspense, political disputes, a deadly disease, and a touch of romance hide behind every corner. This electrifying twist on the original fairy tale will leave you wanting more.